Seven out of ten smartphone launched in China today will either boost a dual rear camera set up, or an 18:9 display aspect ratio, features which is actually the SP of the Ulefone Mix 2 smartphone. This is has been the trending deal since 2017, and we hope to see more companies adopting these trends in 2018. 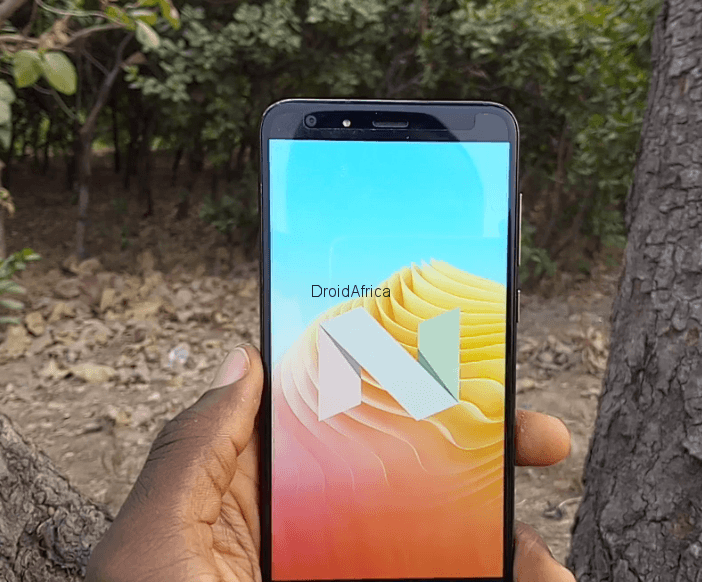 One annoying thing however is the fact that some of these other smartphones, especially those within mid range to low-end department performs terribly inspite hosting a dual rear camera. This is the particular area the Ulefone Mix 2 Review stand out of the competitions, providing fans with a budget dual rear camera that truly works. Ulefone Mix 2 features a 5.7-inch HD+ (720×1440) Full Vision display, built into an all plastic finishing. 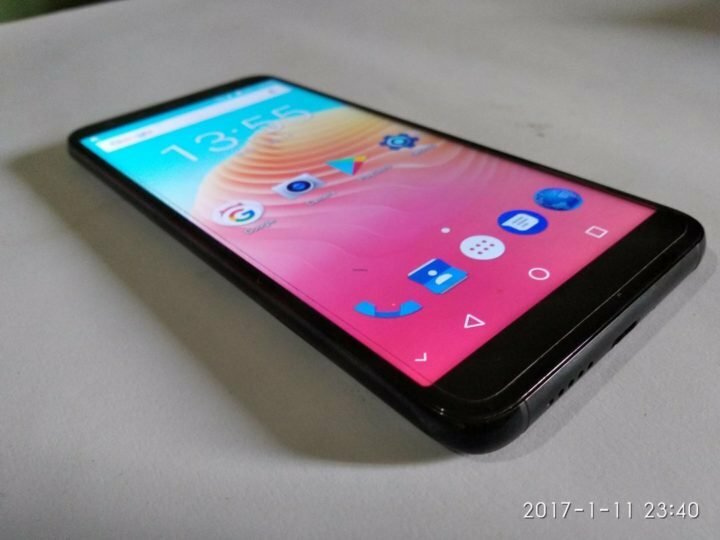 Unlike the design on the first Ulefone Mix 1, which took after the Xiaomi Mix, the Ulefone Mix 2 design is completely inspired by Samsung Galaxy S8, which means, despite being cheap, user can still enjoy the looks and feel of the more premium Galaxy S8, but don’t expect to get those curvings and the almost no bezels on the Galaxy S8. However, the side bezels and even above and below the screen bezels are kept very minimal. Above the display, there is a 5MP selfie camera, an LED flash, the call speaker grill and some sensors. On the right hand side, there is the power button and the volume rocker kept slightly above the mid-way of the device, while only the 3.5mm audio jack seat above the device with the left hand-side completely empty. Below the phone is the loud speaker grill, a USB 2.0 port and a microphone, with notable network antenna straps below and above the device. At the back, you get a dual-rear facing camera hosting a 13MP and 2MP sensors along with a single LED flash. Below the camera is the rear fingerprint sensor and Ulefone branding. The 3300mA battery, SIM cards and memory slots are hidden underneath the back removable panel. As for built quality, on one hand, the Mix 2 feels very comfortable and premium to hold. 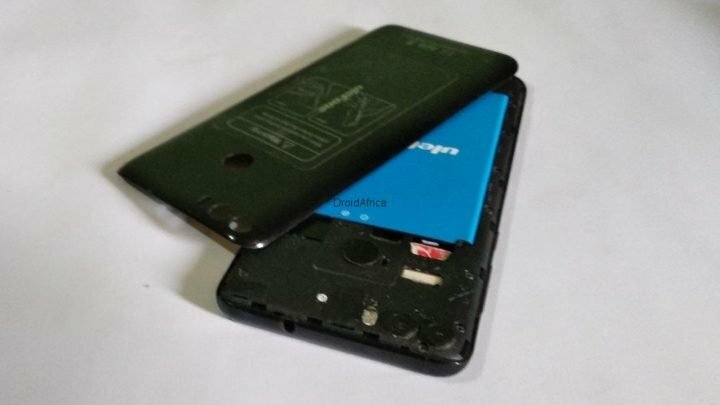 Despite having a removable back panel, attempting to bend the device produced no crackings at all, which is a big plus to Ulefone. But on the other hand, the device feels very plastic and heavy in the hand. The built is completely plastic, not even a metal frame, and Ulefone should have still put in more efforts to reduce the overall weight of the device. As mention before, the display on this device is a 5.7-inch IPS HD+ display with 720 x 1440 resolution, resulting into about 280 PPI. All four bezels are kept very minimal and the touch panel is an IPS panel with support for 5 fingers. This display is gorgeous and bright enough for both indoor and outdoor use. When using the device indoor, I tend to easily forget that I’m using a sub 100 dollars smartphone due to it color reproductions. During out doors/direct sunlight use, the device struggles to produce enough brightness nits, to combat the bright rays coming from the Sun. But trust me, nothing to complain about at all. Just tilt the device a little, and you are good to go. Viewing angles too are very Okay, icons and text are sharp, and it is no pain at all looking at the device from different angles. The Ulefone Mis 2 is got just a single memory/processor options, but available either in Shiny Blue or Black colors. In the heart of the device, there is a quad-core MediaTek MT6737 processor clocked at 1.3Ghz and Mali-T720 GPU. You also get a 2GB of RAM and 16GB internal storage. 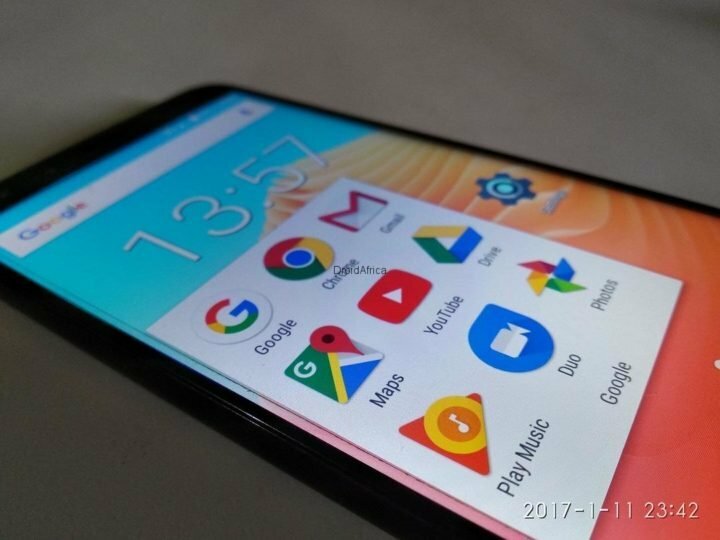 As mention before, the device is got a stock Android 7.0 (Nougat) without any separate customization, which also means users will be getting all google apps preloaded. Now combining the processor and Stock Android 7.0 on the Mix 2, helped the device to be fluid most of the time. All apps loading was Ok and stable. Memory management was also great. The 2GB of RAM was able to give me smooth multi-tasking between 3 to 5 apps, and screen splitting features of Nougat is also in place. Out of the 16GB internal storage, almost 6GB was already pre-occupied out of the box, and before I could finish running all my tests, the smartphone was already complaining of low storage. So if you plan on getting this device, then you might want to make arrangement for an external SDcard. 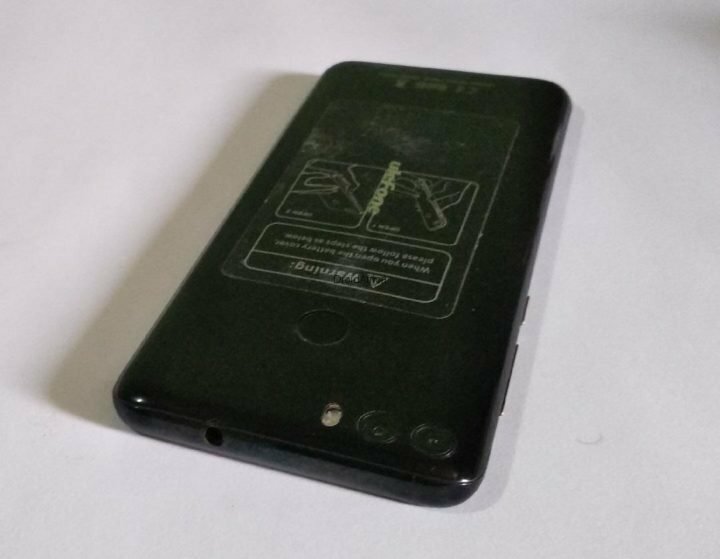 The rear fingerprint scanner was a trouble locating at first, but after spending some days with the device, I became very comfortable with it. Now, while unlocking was not as fast as I expected, I love the fact that the sensor can be used not just to unlock the device, but can also be used as a return navigation key, to pause or play musics and videos, answer call, take photos, and can even be used to access recent app screen….woooow! too many functions right?. Seriously, I found the rear fingerprint scanner to be so useful. In summary, Ulefone did it best to harmonize the hardware and software of the Mix 2 for optimum performance. But I was expecting a bit more from the software department, considering the fact that it stock Android 7.0. For reasons unknown to me, I could still notice few lags and stutters here and there, especially when pushing through some heavy apps. The camera department of the Mix 2, is where I personally think that Ulefone did the nicest job on this device. 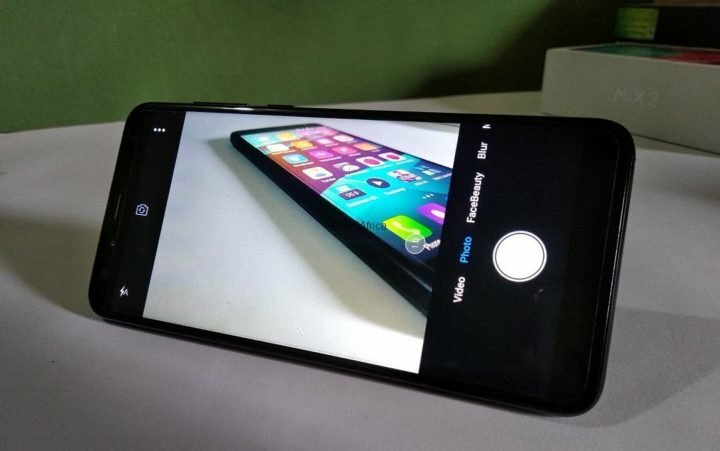 Dual rear camera setup is one of the most trending factor in the mobile arena currently. But trust me, most OEMs especially those offering Dual sensors on mid range to low-end smartphones are playing you SCAM, and if you doubt me, then please refer to my review of the Leagoo T5c Smartphone. Generally, I would always recommend folks buying low-end phones not to go for a smartphone with dual camera setup, not until I got the Ulefone Mix 2, then I realize that there are low-end smartphones with dual camera setups that really works. At the price of just $99 dollars, I’m not going to tell you how bright and sharp the camera on the device was, just refer to the camera samples below. One thing that interest me the most is the depth of field and bokeh effect attainable by the secondary senor. Even when capturing objects on motion, the bokeh effect is still applicable. You won’t get Optical Image Stabilation (OIS) with this device, but you get Electronic Image Stabilation (EIS), , Face beautification, the aforementioned blurring effects and even 1080p video recording and more. All sounds and multimedia output are passed through a single loud speaker seating at the base of the smartphone. The speaker is loud and fairly rich in sound quality. The only issue I have is with the placement. I discovered when watching a movie or playing a game in horizontal mode, I easily get the speaker muffled with my fingers. 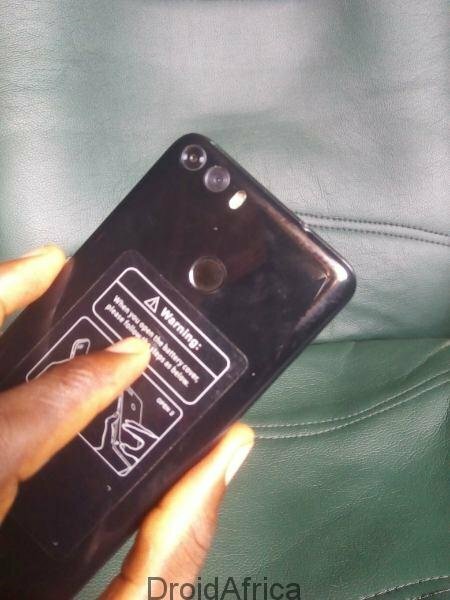 This is a singular problem common to all phones with base speaker, and until we still getting a blastering front facing speakers like those on Infinix Hot 5 or Google Pixel, then the problem will continue. As for Connectivity, the Mix 2 provides room for dual nano sim with support for 4G network speed. Network reception is great, and I could easily stream youtube HD videos without unnessary buffering, also Making and receiving phone calls with the Ulefone Mix 2 was not an issue at all, I could hear my callers clearly well as much as they could hear me. So, you are getting a 3300mAh battery with the Mix 2. Generally, having a smartphone with 3300mAh battering in 2018 wont give users much excitement, and off course, battery mAh count shouldn’t on it own make any user excited. Although we all know that the higher the number, the better, but higher mAh count does not always translate into higher real life performance. Looping a HD movie at 100% volume and brightness for about 2 hours and 20 minutes, with background data turned on, brought the device to 66% from 100%. Running further heavy test such as benchmarks, gaming, web browsing and some video shooting for another 3 hours and 32 minutes, brought the device to 15%. So heavy users can get up to 6 hours of continuous on-screen usage, while most moderate user can expect a full day use. When you run out battery, it takes between 2 to 3 hours to fully refill the battery. 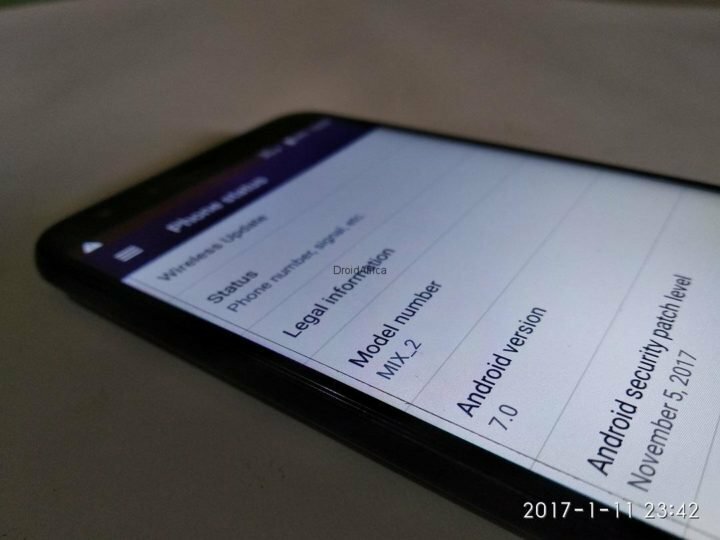 The reason for this is partly due to lack of fast charging support, and the fact that Ulefone only bundled a 1A charger with the Mix 2. So for those on a very tight budget looking for something affordable with good display and camera performance, the device is for you. But if you are looking for something less stressful in your palms then check out my review of the Tecno Camon CM.